I have the most talented friends! 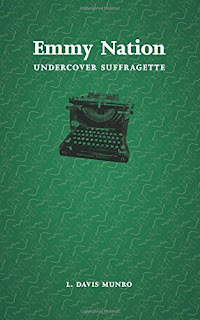 Late last fall, my friend Lia Davis Munro self-published her first novel, Emmy Nation: Undercover Suffragette, and it is fascinating. And I promise I'm not just saying that because I know her. Set in 1913, Emmy Nation is a young, single woman, working almost in poverty to support herself as a typist with the Scotland Yard. 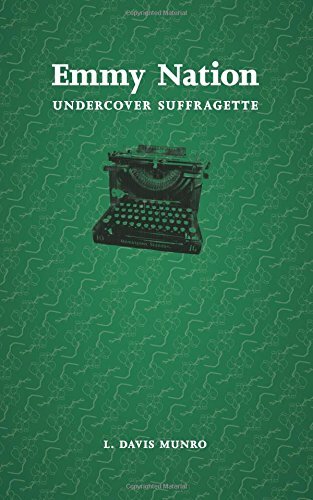 She is assigned a special undercover role to spy on the suffragette movement and their key members. Emmy is delighted to be given new boots (without holes!) and more pay as part of this new assignment. Yet, as Emmy gets closer to the inner circle of the suffragettes, she becomes torn as she is inspired by the resilience of these women and their determination to persevere for future generations. This is the perfect book for anyone who loves historical fiction or fiction with strong female protagonists. Emmy Nation was so incredibly well-researched (Lia holds a master's degree that focused on women's suffrage), and I really felt like I was learning so much about the British suffrage movement while I was reading this interesting story. I was completely in shock as to how these women were treated by the police at that time and what it was like for them when they were imprisoned. It also seemed so insane that men felt women were just too "simple" to understand politics or hold any valuable opinion or thought in their heads whatsoever. It was only 100 years ago, but it feels so archaic. The one burning question I had for Lia was how Emmy Nation got her name. Here's what she had to say: Nation is my great-great-grandmother's maiden name. I pulled many names for this book from my grandma's family tree. She passed away the same year I really delved into the book, so it was kind of an extended dedication. But, I honestly don't remember the inspiration behind Emmy!